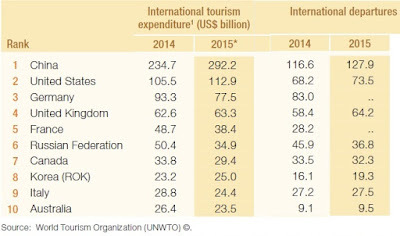 International tourism is an enormous industry, representing $1.5 trillion per year in revenues and about 7% of total world exports of goods and services in 2015. The UN World Tourism Organization has published its "Tourism Highlights 2016" with a number of background facts. International tourist arrivals reached 1.2 billion in 2015, and are projected by the UNWTO to rise by 50% in the next 15 years. The main destinations of tourism are perhaps not much of a surprise. European countries rank highly, in part because of the number of trips from one European country to another. 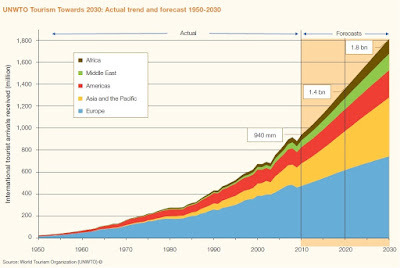 The US is a major destination. But there are some surprises. 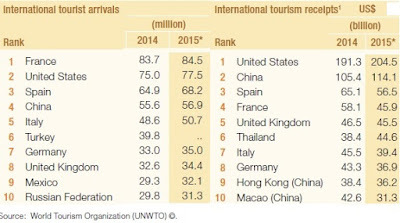 I would not necessarily have expected China to rank 4th, Turkey to rank 6th, or Russia to rank 10th around the world in tourist arrivals. 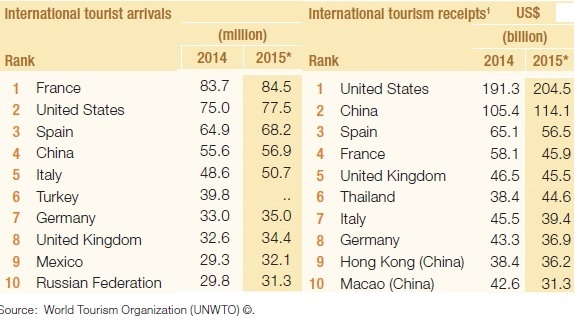 When it comes to countries sending tourists, China is far and away on top. 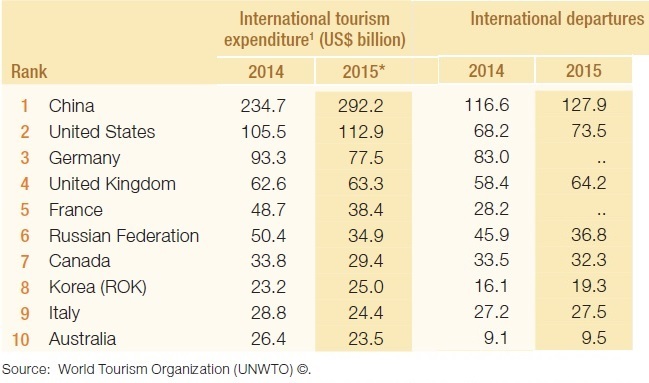 The UNWTO report is focused on numbers and trends, not on economic insights. But it provides food for thought. In high-income countries, many people have a standard of living where they can focus not just on buying goods and services for daily consumption, but on a "bucket list" of leisure experiences As more people around the world enter the global middle class, they often want to expand consumption of travel and tourism. In an economic sense, tourism (both international and domestic) is a very large industry, and it is shaped by a mixture of policies toward visitors, ease of transportation and lodging, and a mixture of public and private amenities and destinations. When the US ranks behind France as a tourist destination, it suggests that the US is not doing what it could to facilitate tourism. For a number of lower-income and medium-income countries, one of their important economic questions is how to grow their tourism industry, and then how to incorporate the economic gains into gains in the standard of living for their economy. After all, many skills that facilitate tourism can help the economy in other ways, too, like reliable communications, logistics and scheduling, handling financial payments, clean water, electricity, transportation, and more. In a big-picture sense, I'm enough of an optimist to hope that the associations and connections that often result from international tourism can have a positive effect across countries and cultures, too.